Using the finest quality long staple mercerized base thread, CGT provides a high sheen thread with a low knotting rate in addition to being Australian Textile Industry certified light and colour fast; making CGT the ultimate choice for you and your customers. The packaging system unique to CGT is designed to retain the information of the thread colour, number and weight as well as eliminating tangles. By just pulling on the left hand side of the skein, the thread will untwist and be ready to use length by length, or strand by strand. 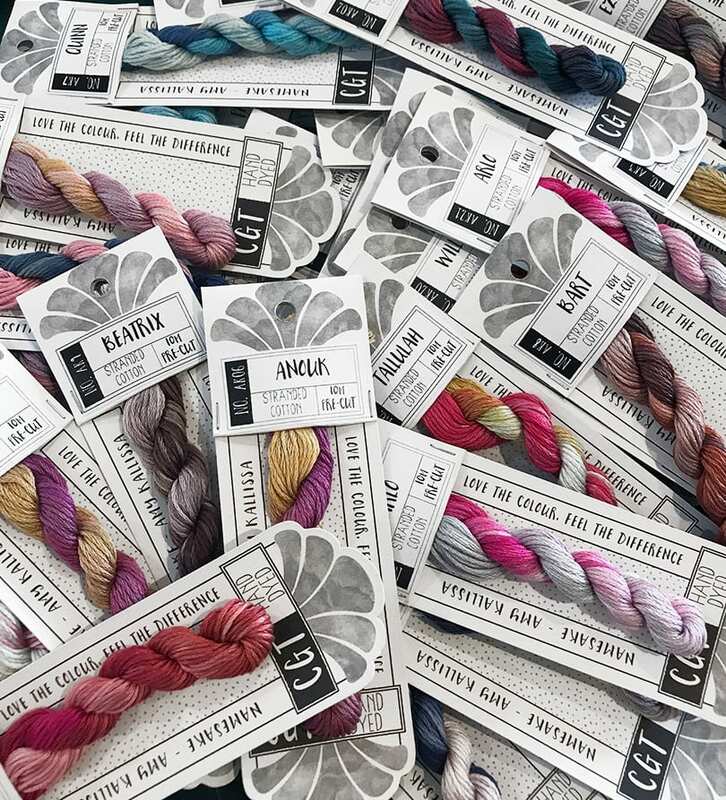 CGT Threads are designed with the same colour at either end of the pre-cut lengths for continuity of the subtle colour blend only achievable with hand dying. 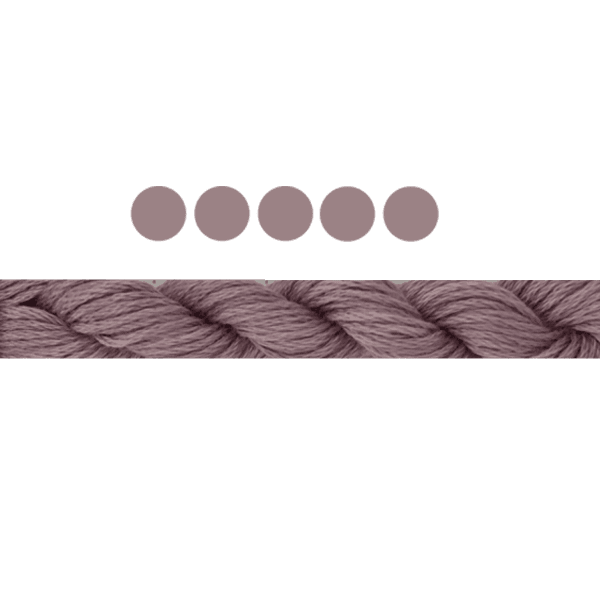 The short colour lengths within each skein of thread ensure a lovely effect when stitching even small details which is lost when stitching with machine produced variegated thread due to the limitation of colour length changes and the absence of hand manipulation of dyes during the hand dying process resulting in abrupt colour changes as opposed to the subtle blends of hand dyed threads.